Friday is Aggressors day, and today we have something special to show you. 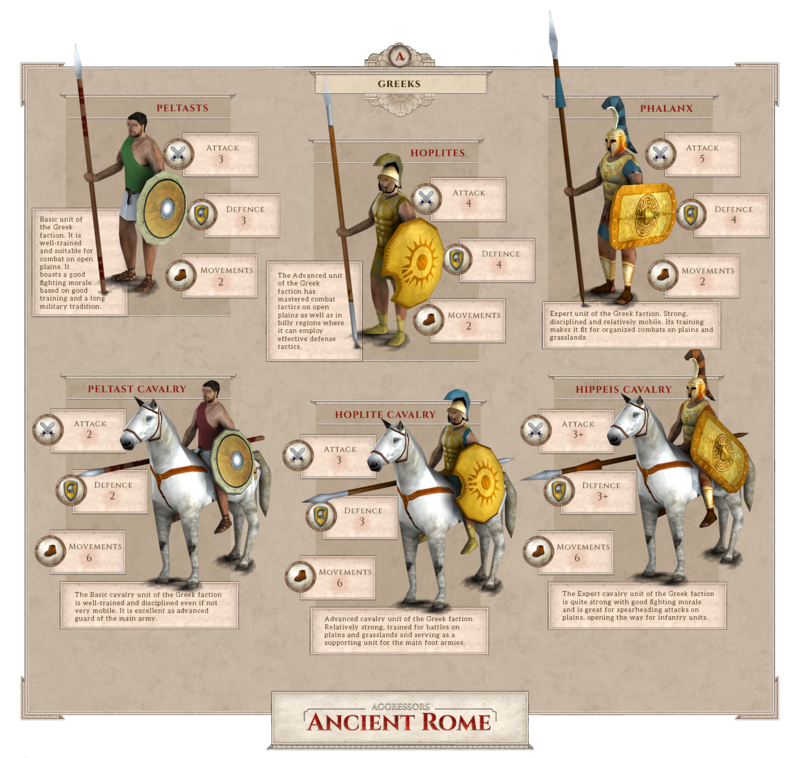 It's the first part of a units infographics, showing the special units coming with Aggressors: Ancient Rome. 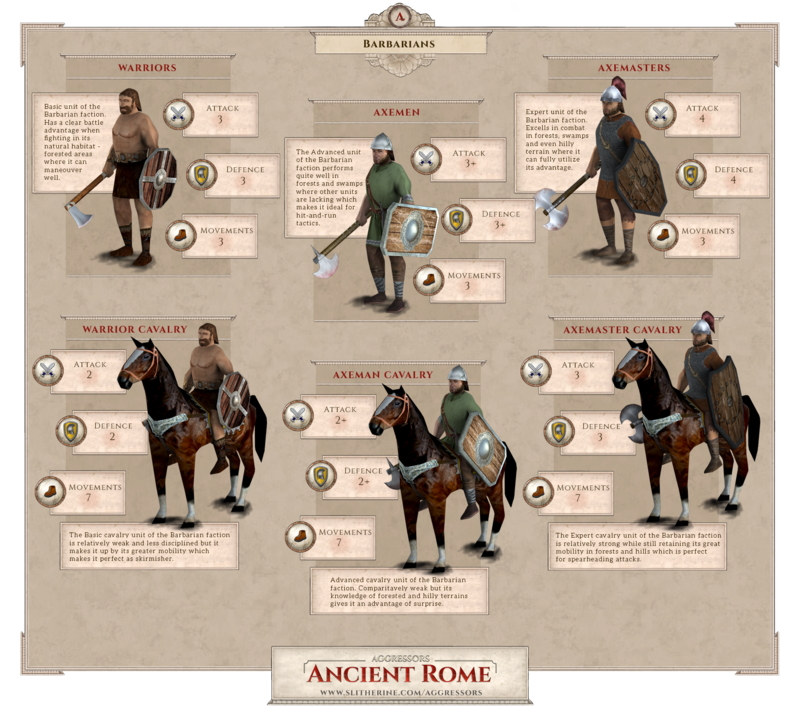 This time we'll focus on three culture groups: Barbarians, Greeks and Carthaginians. Enjoy and let us know if you have any question or comment! 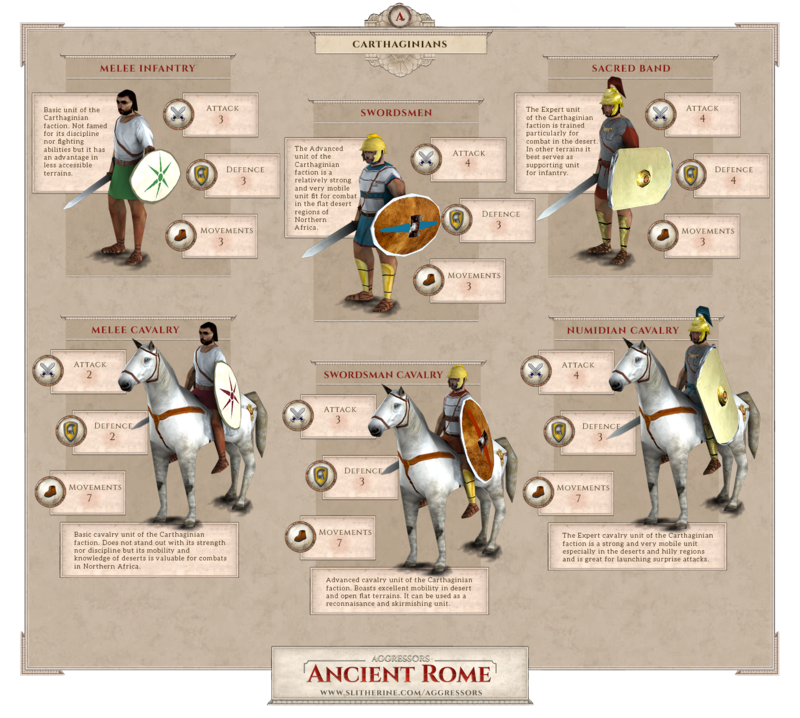 You can click on the infographics to zoom them.